On the 31st (Fri), see the interesting displays at The Sixth Floor Museum at Dealey Plaza. To find other places to visit, ratings, and other tourist information, read our Dallas holiday planner. Jackson to Dallas is an approximately 3.5-hour combination of taxi and flight. You can also drive; or take a bus. May in Dallas sees daily highs of 83°F and lows of 65°F at night. On the 1st (Sat), you're off toSan Antonio. Kick off your visit on the 1st (Sat): hike along The San Antonio River Walk. Get ready for a full day of sightseeing on the next day: get in on the family fun at SeaWorld San Antonio. For photos, maps, reviews, and tourist information, read San Antonio trip planner. Getting from Dallas to San Antonio by flight takes about 3.5 hours. Other options: drive; or take a bus. June in San Antonio sees daily highs of 93°F and lows of 74°F at night. You'll have a few hours on the 3rd (Mon) to wrap things up before traveling to El Paso. El Paso is a city in and the seat of El Paso County, Texas, United States. For other places to visit, maps, traveler tips, and tourist information, read our El Paso planner . Traveling by flight from San Antonio to El Paso takes 4.5 hours. Alternatively, you can drive; or take a bus. Due to the time zone difference, you'll gain 1 hour traveling from San Antonio to El Paso. When traveling from San Antonio in June, plan for somewhat warmer days in El Paso, with highs around 99°F, while nights are about the same with lows around 73°F. On the 4th (Tue), you're off toGrand Canyon National Park. Family-friendly places like Nature & Wildlife Tours and Yavapai Geology Museum will thrill your kids. Next up on the itinerary: take in breathtaking views at Grand Canyon South Rim, stroll through South Kaibab Trail, and cruise along East Rim Drive. To find out how to plan a trip to Grand Canyon National Park, use our trip itinerary maker. You can drive from El Paso to Grand Canyon National Park in 9.5 hours. While traveling from El Paso, expect little chillier days and cooler nights in Grand Canyon National Park, ranging from highs of 85°F to lows of 42°F. On the 7th (Fri), you'll have the morning to explore before heading off to Las Vegas. For reviews, traveler tips, ratings, and other tourist information, use the Las Vegas trip tool . Traveling by combination of flight and car from Grand Canyon National Park to Las Vegas takes 4.5 hours. Alternatively, you can drive; or take a shuttle. Due to the time zone difference, you'll gain 1 hour traveling from Grand Canyon National Park to Las Vegas. When traveling from Grand Canyon National Park in June, plan for a bit warmer days in Las Vegas, with highs around 103°F, while nights are much hotter with lows around 77°F. Finish up your sightseeing early on the 8th (Sat) so you can travel to Salt Lake City. On the 8th (Sat), test your team's savvy at popular escape rooms and then take in breathtaking views at Big Cottonwood Canyon. For ratings, maps, reviews, and other tourist information, read our Salt Lake City trip itinerary builder tool . Fly from Las Vegas to Salt Lake City in 4 hours. Alternatively, you can drive; or take a bus. Due to the time zone difference, you'll lose 1 hour traveling from Las Vegas to Salt Lake City. Traveling from Las Vegas in June, expect Salt Lake City to be slightly colder, temps between 89°F and 62°F. Cap off your sightseeing on the 9th (Sun) early enough to travel to Jackson Hole. 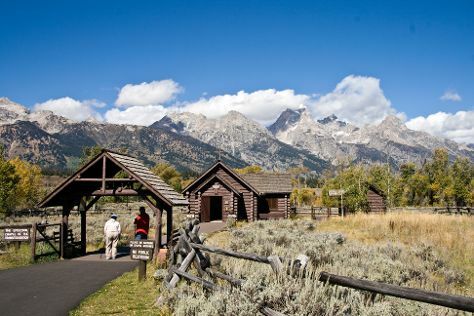 Start off your visit on the 9th (Sun): identify plant and animal life at Grand Teton. On the 10th (Mon), you'll have a packed day of sightseeing: look for all kinds of wild species at Blacktail Ponds Overlook, explore the striking landscape of String Lake, and then take a memorable drive along 42-mile Scenic Loop Drive. To find photos, ratings, other places to visit, and more tourist information, go to the Jackson Hole trip tool . Traveling by combination of flight and taxi from Salt Lake City to Jackson Hole takes 2 hours. Alternatively, you can drive; or take a shuttle. Traveling from Salt Lake City in June, you will find days in Jackson Hole are a bit cooler (72°F), and nights are colder (39°F). Finish up your sightseeing early on the 10th (Mon) so you can go by car to Yellowstone National Park. On the 11th (Tue), witness a stunning natural landmark at Old Faithful, don't miss a visit to Artist Point, and then take in breathtaking views at Grand Canyon of the Yellowstone. 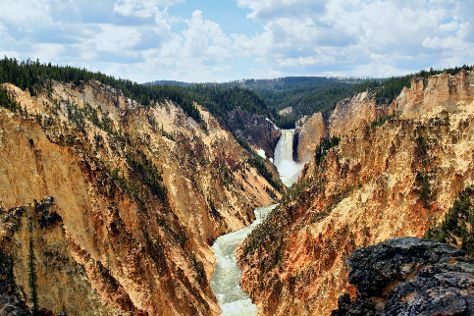 To find other places to visit, photos, traveler tips, and other tourist information, use the Yellowstone National Park trip itinerary maker app . Traveling by car from Jackson Hole to Yellowstone National Park takes 2 hours. In June, Yellowstone National Park is little chillier than Jackson Hole - with highs of 66°F and lows of 34°F. On the 12th (Wed), you're off toDenver. On the 13th (Thu), get a new perspective on nature at Denver Museum of Nature & Science, then meet the residents at Denver Zoo, and then admire all the interesting features of Coors Field. To see photos, more things to do, other places to visit, and other tourist information, go to the Denver trip builder tool . You can do a combination of car, flight, and train from Yellowstone National Park to Denver in 5 hours. Alternatively, you can do a combination of car, shuttle, flight, and train; or drive. Traveling from Yellowstone National Park in June, you will find days in Denver are a bit warmer (83°F), and nights are much hotter (55°F). Finish up your sightseeing early on the 14th (Fri) so you can travel to Kansas City. Start off your visit on the 14th (Fri): test your problem-solving skills at popular escape rooms. For ratings, other places to visit, photos, and more tourist information, you can read our Kansas City trip planner . You can do a combination of train, flight, and bus from Denver to Kansas City in 5 hours. Alternatively, you can drive; or take a bus. The time zone difference when traveling from Denver to Kansas City is 1 hour. Traveling from Denver in June, plan for somewhat warmer nights in Kansas City, with lows around 69°F. On the 15th (Sat), you'll have the morning to explore before heading back home.